Focus your personal power and achieve your dreams! 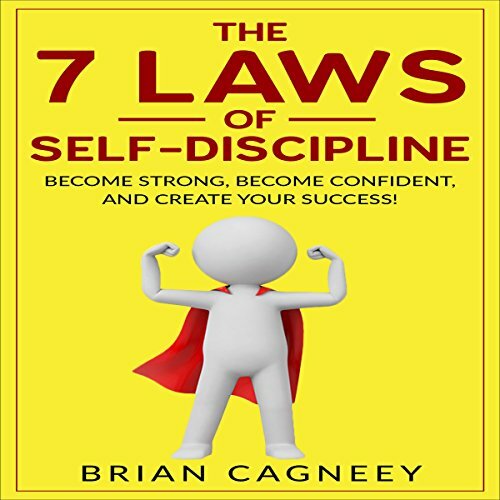 If so, you must listen to Brian Cagneey's The 7 Laws of Self-Discipline: Become Strong, Become Confident and Create Your Success!. Part of the popular 7 Laws series, this book contains proven steps and strategies for mastering your mind, avoiding distractions, and increasing your productivity. Brian provides a wealth of simple, easy-to-follow techniques and leads you through this challenging and rewarding journey of self-discovery! With this powerful guidebook, you can understand the barriers to progress, like excuses, blame, and denial. You have the strength to see reality as it really is - and start telling yourself the truth. By giving yourself simple, easy-to-achieve goals and choices, you can rewire your brain for success! A well written guide on Self-discipline. Steps are clearly presented and explained. Good job done by narrator in an easy style to follow. Just listen and apply to enjoy a skill which few have mastered.